Does it seem like those shrubs you planted years ago have become as gangly as tiny trees? Are those shrubs you planted as a privacy fence providing a little too much privacy? It’s a good thing when your shrubs and other plants grow, but when those five shrubs you planted under your front bay window become one giant bush it might be time to give them a good ol’ pruning. Consider a Pruning and Trimming service from Augusta Lawn Care and Maintenance to take care of all that excess foliage from your ornamental trees and shrubs. Let’s be honest, your plants need more than a yearly grooming, and they certainly need more than a little pruning once and a while. Their growth can become stagnant and they can start to lose foliage and color in their blossoms. Going out early on a Saturday morning with your electric trimmers might make you feel like you are doing the right thing, but improper cutting techniques can actually cause more harm than good. So do yourself a favor, sleep in and let the top professionals in Columbia County help you out. Pruning your plants back is not purely a cosmetic service (although a well-trimmed shrub is a sight to behold). Regular trimming can help promote healthy and strong plants. It can also prevent insects from attacking those parts of the plant that might not see as much sun. 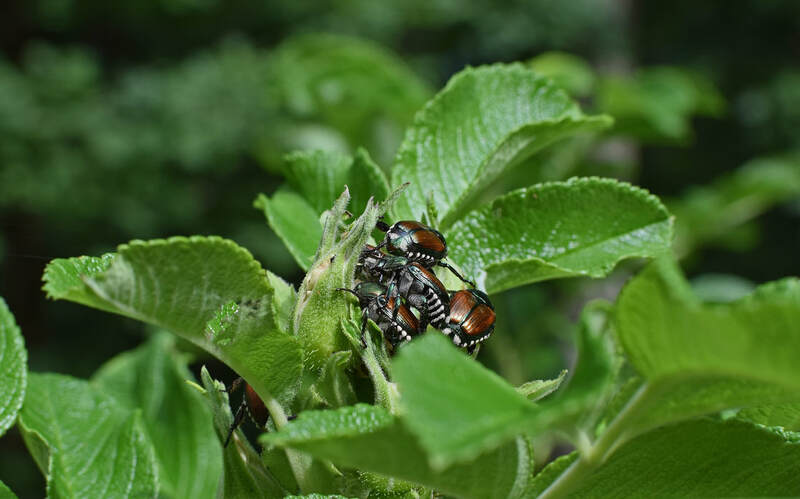 Scale, which is a type of unsightly insect that will lay its eggs on the underside of some of your shrub's leaves (mainly Holly trees and Camellias), loves to breed and grow in those places that get a lot of water but not a lot of sun. By allowing Augusta Lawn Care and Maintenance to take care of your ornamental trees and shrubs, we can alert you to issues like this. We can also let you know if you need to adjust your watering habits, or if there is anything else we see that will help your plants grow and stay healthy. Another factor to healthy shrubs and trees is the amount of water that they receive and are able to retain. Soil temperature and how much air and moisture can get to the roots are important too. Check out how we can help make sure they get the nutrition they need! There’s nothing worse than going through the effort of cutting all your shrubs so that they are level and not unsightly and uneven only to look behind you and see all of those trimmings lying on the ground; especially those trimmings that fall into all those hard to reach places. Augusta Lawn Care and Maintenance will remove all trimmings from your flower beds and natural areas. Your plants need extra attention and so do you, so go and treat yourself to some well-deserved “you time” while we work hard to keep your plant’s looking their best. ​Ever try to trim a Holly bush? Ok, well remember how irritating it is to clean up a Holly’s trimmings? Don’t put yourself through that. We know Holly’s do not mean to cut you to ribbons while you’re trying to help them, but they do. Not to mention, when it’s spring time, and the pollen is at its peak (which can be quite dense here in Augusta, Georgia) who wants to deal with stuffy noses and coughing fits? Let us take care of your shrubs and plants, you won’t be disappointed; your neighbors will be though, because they didn’t hire us. ​So once we take care of your lawn with our normal services we can take care of those over-grown bushes in front of your house so you can stop worrying about it every time you come home from work. Pick up the phone and give us a call! Ever in New Lenox, Illinois? Check out our partners at New Lenox Tree Removal!